Some of the early signings during the NBA’s free agency period were beyond belief. Anthony Davis made a roughly $145 million deal with New Orleans. Damian Lillard is looking at a $120 million extension with the Trail Blazers. Kevin Love is working on a $110 million deal with the Cavaliers. Jimmy Butler signed a five year contract for $95 million with the Bulls. There are millions of dollars flowing into the bank accounts of the top NBA players, and some of these deals won’t even be in play until next season. With a focus on the salary and endorsement deals of each athlete, we’ve compiled a list of the top 12 highest-paid NBA players. Keep in mind that injuries kept some players out of the game, and the order may change once the details of new contracts are known. 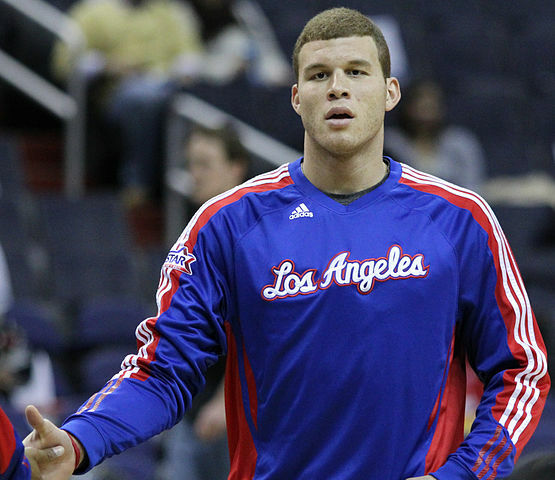 Blake Austin Griffin of the Los Angeles Clippers is a power forward in his third year of a five year, over $95 million extension that he signed with the Clippers in 2012. He was a 2011 NBA Slam Dunk Champion, a #1 Draft pick, and is a five time All Star. Despite injuries and missing 15 games in one season, he has remained one of the most popular athletes in the NBA, with top stats, playing for one of the Western Conference’s best teams. Kevin Wesley Love of the Cleveland Cavaliers is a power forward / center who is going to make his team one of the top contenders for an NBA Title. Love contributed to 34 wins in the team’s final 43 games before a shoulder injury kept him out of Playoffs against the Boston Celtics. 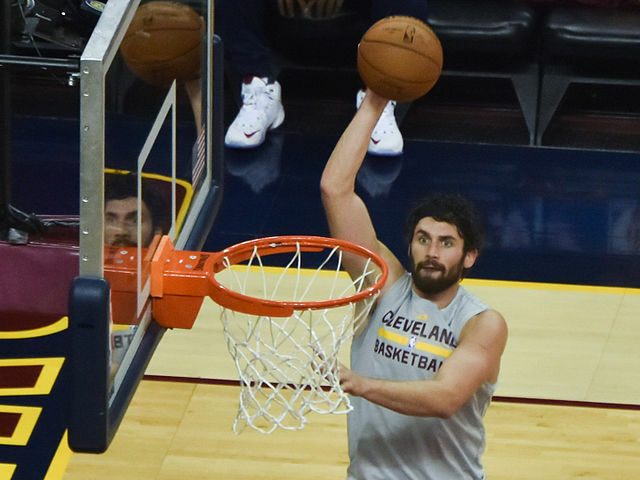 He was the Cleveland Cavaliers’ third option for the season after Lebron James and Kyrie Irving thanks to his incredible stats and excellent athletic reputation as a rebounding champion with the Minnesota Timberwolves and as a three time NBA All Star. Dwyane Troy Wade of the Miami Heat is a shooting guard and one of the most popular players in the basketball. He is an 11 time NBA All Star and has won the NBA Championship 3 times. 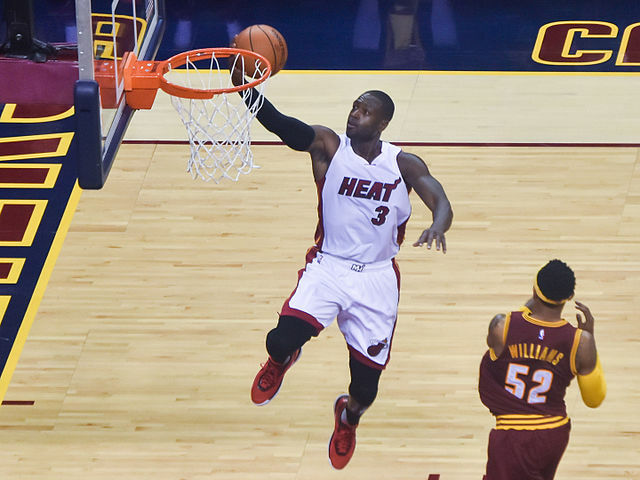 Despite missing more than 20 games for the second season in a row, Wade scored a season high 42 points in a game, posting his highest PPG average since 2011 – 2012 (21.5). In his whole career, he’s only missed the Playoffs twice, and he may have a chance at a fourth NBA Championship with Goran Dragic, Luol Deng, Hassan Whiteside and Amare Stoudemire. Dwyane Wade is currently playing on a one year contract for $20 million, unable to reach a long term agreement with management. 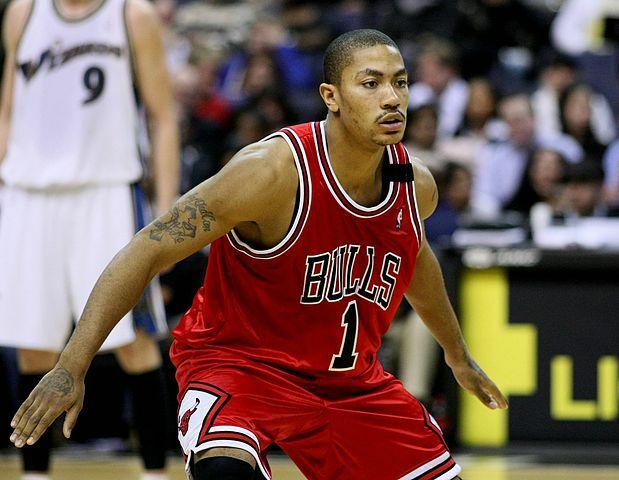 Derick Martell Rose of the Chicago Bulls is a point guard and was Chicago’s first draft in 2008 (and first guard to be drafted first since 1996). He is in the fourth year of his $94 million+ five year extension from 2011. Rose is a former NBA Rookie of the Year and youngest Most Valuable Player at the age of 22. He is no longer leading the team, thanks to knee injuries and surgeries that have kept him out of several games the past two seasons; but he has excellent support from Nikola Mirotic, Jimmy Butler, Pau Gasol, Mike DunLeavy, and Doug McDermott. Derrick Rose only played in ten games and 39 games in the previous two years, and returned for 51 contests in the 2014 – 2015 season. 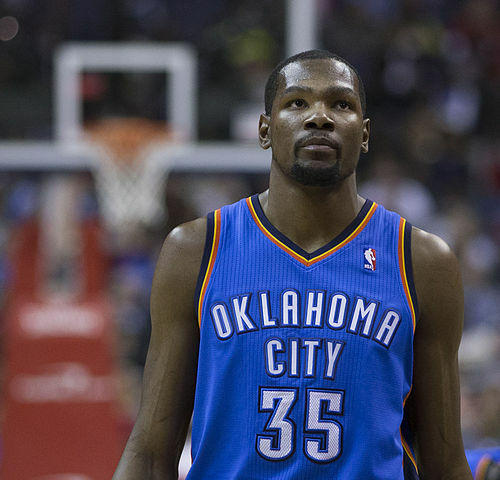 Kevin Wayne Durant of the Oklahoma City Thunder is a small forward who was selected for five NBA teams and six All Star teams. He is also a former MVP and four time NBA Scoring Champion. He’s on the last year of his 2010 five year contract with OKC. Despite missing 55 games with a fractured right foot last year, Durant is among the most talented players in the game and is likely to quickly pass some of the following names in this list. The big question is if team management can convince him to stay with the OKC Thunder. 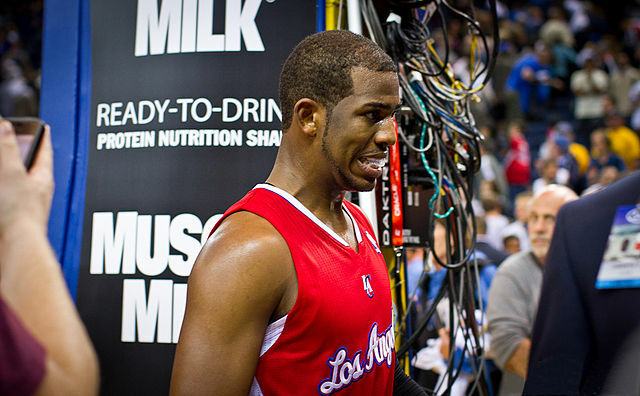 Christopher Emmanuel Paul of the Los Angeles Clippers is a point guard with two gold medals, the 2008 NBA Rookie of the Year Award, and the 2013 NBA All Star Award. He was the fourth draft pick by the New Orleans Hornets in 2005 and has been selected to seven NBA teams, seven All Defense teams, and eight All Star teams. He was traded to the Clippers in 2011 and endorses Nike and State Farm as one of the highest paid and most recognized athletes in the world. Right now, he’s in the middle of a $107 million five year contract from 2013. He is hoping for an NBA Title alongside Paul Pierce, Lance Stephenson, and Blake Griffin. 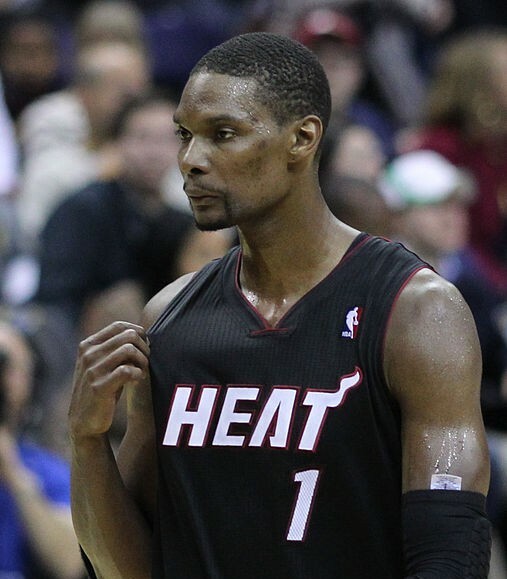 Christopher Wesson Bosh of the Miami Heat is a power forward/center who hold two NBA Championships and ten NBA All Star Awards. Bosh holds the most franchise records in Toronto. His five year deal with the Miami Heat was worth over $120 million. In 2006 – 2007, he led the Toronto Raptors to the NBA Playoffs for their first time in five years. He missed the second half of the 2014 – 2015 season with a blood clot in his lung. Now, he’s healthy and ready to look to the future along with Dwyane Wade as 2015 – 1016 Eastern Conference contenders. 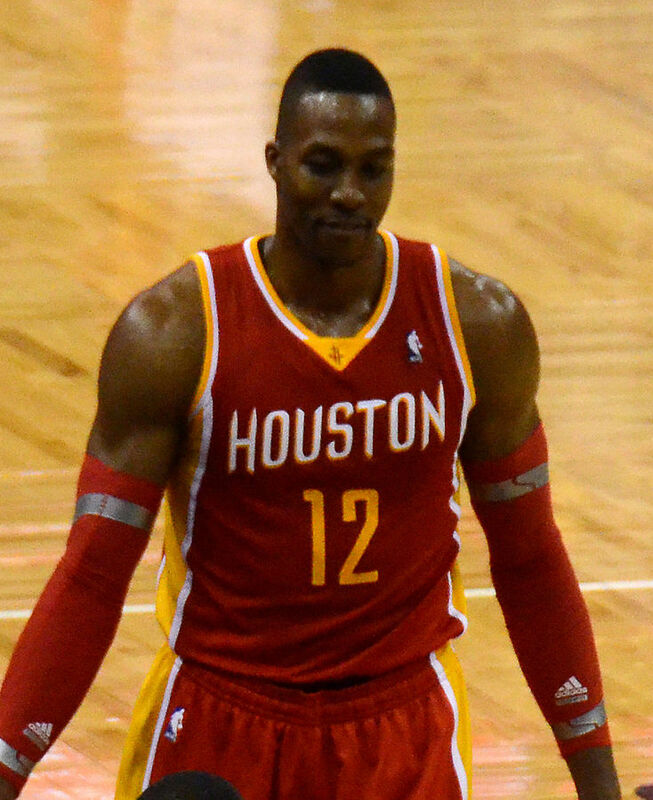 Dwight David Howard of the Houston Rockets is a center who is a three time NBA Defensive Player of the Year and eight time All Star. In 2008 and 2009, he helped get the Orlando Magic to the Eastern Finals and NBA Finals. He now plays on one of the best teams, which includes MVO candidate James Harden. Together, they made it to the Western Conference Finals in 2015. With knee problems in his second full season with the Houston Rockets, he had to miss 41 games. Dwight Howard is currently in the third season of his $87 million four year contract from 2013. 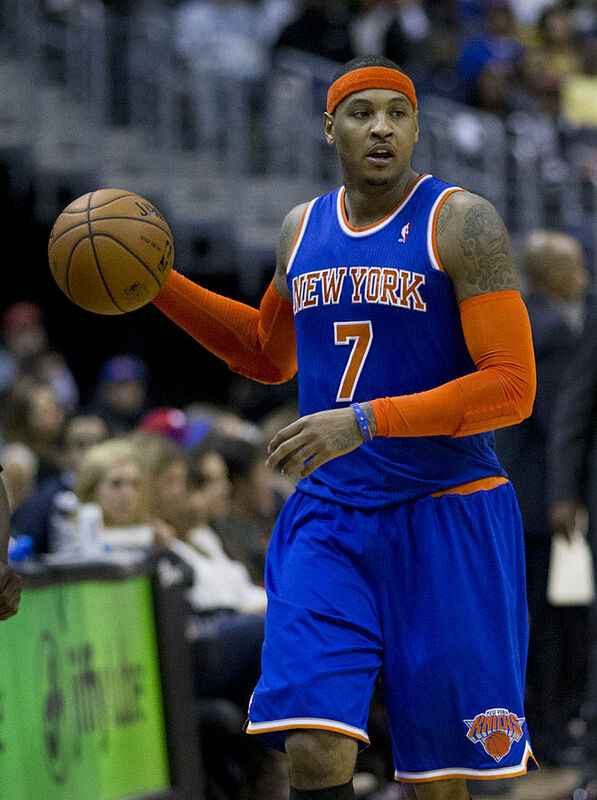 Carmelo Kyam Anthony of the New York Knicks is a small forward with eight All Star Awards. He was the third draft pick of the Denver Nuggets in 2003 and led the team to the Playoffs for six years in a row and won two division titles during that time. The Denver Nuggets made it to their first Conference Finals game since 1985 with the talent of Carmelo Anthony. After being traded to the New York Knicks in 2011, he set a single-game scoring record for the Knicks and Madison Square Garden with 62 points. He is also a former Olympic team member with a bronze medal from 2004 and gold medals from 2008 and 2012. Anthony even set the record for most points in a single game in the Olympics with 37 points. He has three years left in his $93 million contract with the New York Knicks. 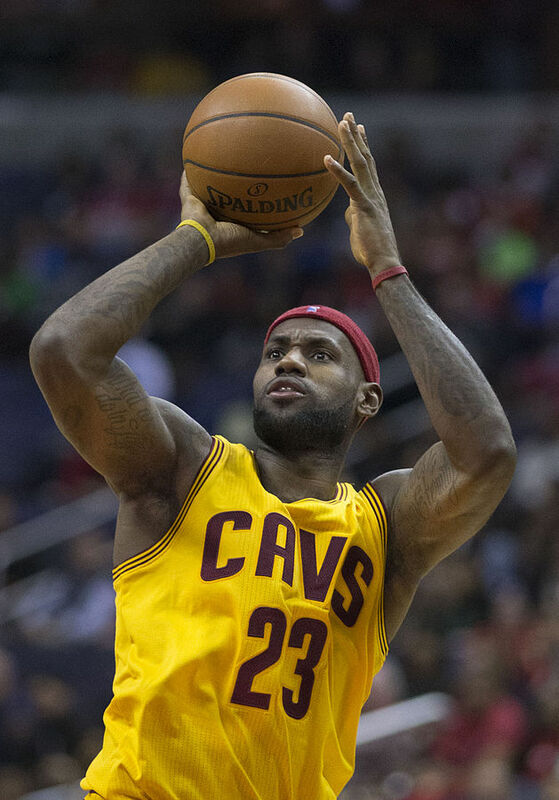 LeBron Raymone James of the Cleveland Cavaliers is a small forward / power forward who is among the most recognized basketball players in the world. He’s won four NBA MVP Awards, two NBA Championships, two NBA Finals MVP Awards, an NBA scoring title, the NBA Rookie of the Year Award, and two Olympic gold medals. He’s the leading all-time scorer for the Cleveland Cavaliers and has been selected to six All Defense teams, eleven All-NBA teams and 11 NBA All Star teams. After losing the 2015 NBA Finals, LeBron signed another two year contract for $47 million with Cleveland. 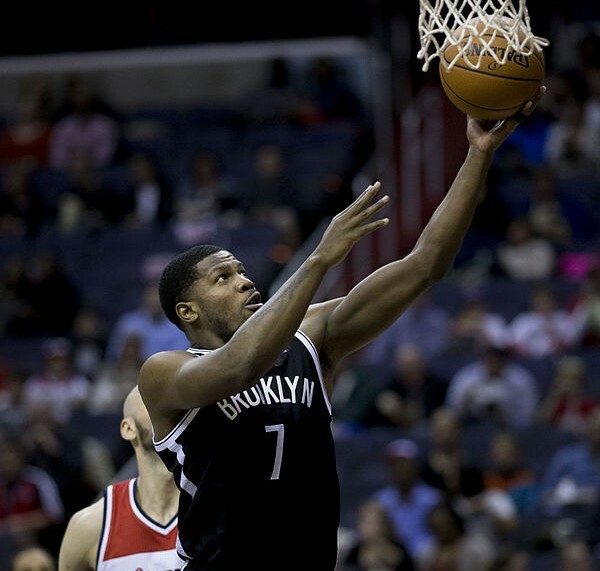 Joe Marcus Johnson of the Brooklyn Nets is a shooting guard / small forward who is a seven time NBA All Star and the second highest NBA player. In 2010, he signed a $120 million+ six year contract in Atlanta, though his performance doesn’t seem to justify his salary. The idea was to bring him in along with Deron Williams to lead the team to success, but this plan was determined to be a failure by management and Williams was bought out. Joe Johnson’s scores have been lower than they have been since 2003, and he needs to start making a better impression if he’s going to keep leading this list with enormous contracts. 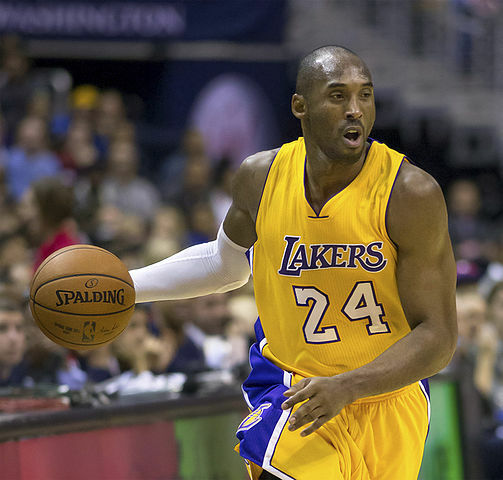 Kobe Bean Bryant of the Los Angeles Lakers is a shooting guard and the highest paid NBA player of 2015 – 2016. Unlike the last entry, Kobe Bryant earns his salary as the most accomplished player who is currently active in the NBA. He is a 17 time All Star and has won five NBA Titles. Bryant has been with the LA Lakers from the beginning of his basketball career, setting a record for the most seasons with same team (20 seasons) in the 2015 – 2016 season. As a twelve time member of the All Defense team and fifteen time member of the All-NBA team, he has lead the league in scoring at two times in his career. He’s missed a lot of games recently because of various injuries, including a torn rotator cuff. He is now in his final year of the $48 million+ two year contract that he signed with the LA Lakers in 2013, and he may be considering retirement after 2016.